This Catalan croutons idea came to me while my girlfriend and I were doing a culinary trip in Spain. A little advice: Next time we ask you ”Pan con tomate?”, just say yes! Preheat the oven at BROIL. Lightly grill the bread slices on both sides then set aside. Rub one side of all croutons with the juicy interior of the tomato and add a small drizzle olive oil all over this beautiful bread! 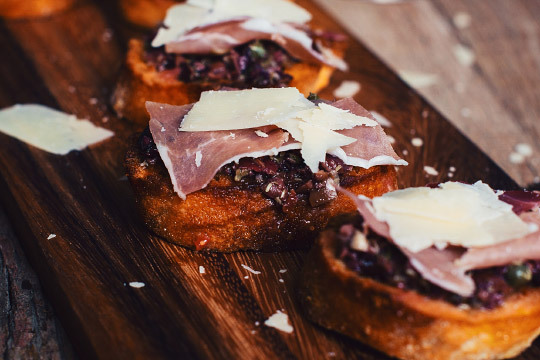 Spread about 1 teaspoon of tapenade on each crouton. Add a couple of pieces of proscuitto on top and garnish with fresh parmesan. Eat immediately! 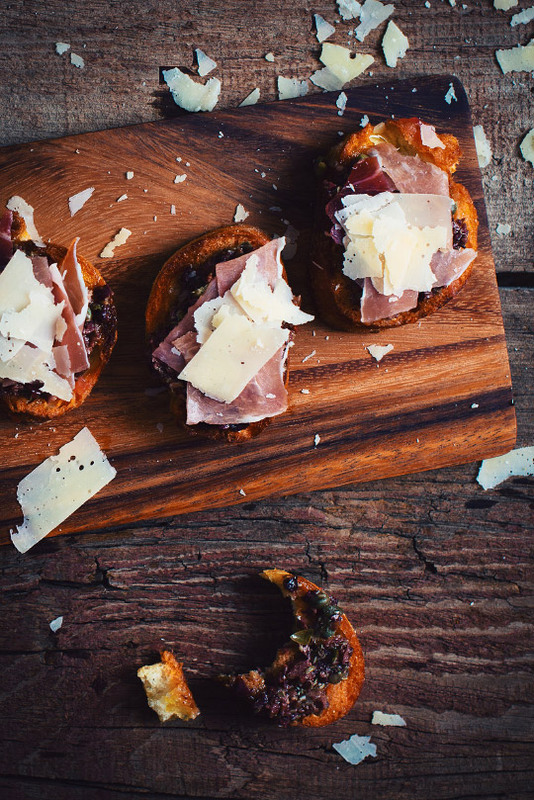 Tapenade, prosciutto and parmesan are proud representatives of the umami flavor. So, choose a beer that will have a lot in common with this food, such as the Gros Mollet, a beer with notes of butterscotch, candied fruits, hazelnuts, roast and berries. Let it warm up for a burst of flavor.